There are few breakfasts that are easier to prepare than scrambled eggs. But when I have time, I like to add a bit more flair to my favorite meal of the day. 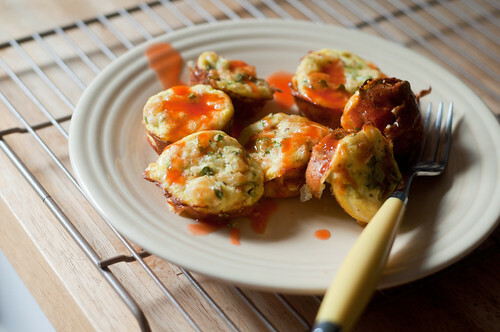 These bites make a filling solo breakfast . . . but I also think they'd make a great brunch appetizer! 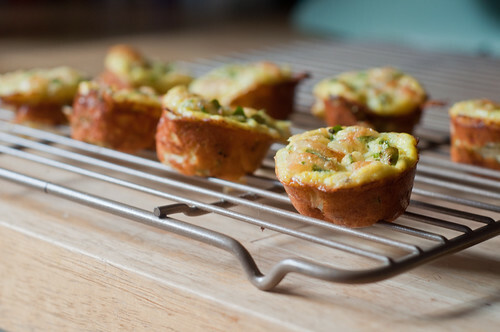 Preheat your oven to 350 degrees F. Spray 8 cups in a mini muffin pan with some olive oil. Set aside. Whisk together the eggs, yogurt, and mustard in a small bowl. Then fold in the onions, arugula, and cheddar. Evenly distribute the mixture into the 8 cups. Bake for 18 to 20 minutes, until browned and bubbly. Serve immediately. Tastes great with ketchup (yeah -- I'm a ketchup and eggs girl) or hot sauce. And feel free to swap out ingredients and use peppers in place of onions, spinach in place of arugula, or Monterey Jack in place of cheddar. 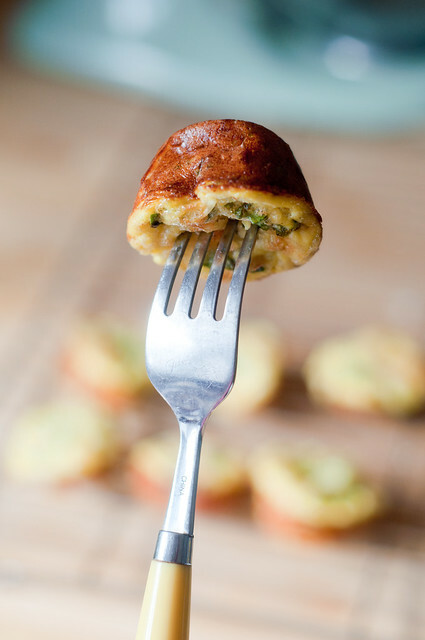 NOTE: You can also make a full pan of these bites by increasing the eggs to 6, the yogurt to 3 tablespoons, mustard to 3 tablespoons, and so on. Just FYI -- we recently added all the posts related to running while pregnant to our Running page. We also changed the navigation a bit on the Recipes page. And we're nearing the end of setting up our new blog. Hope to launch it next week!